I’ve loved children’s books ever since I was a little kid. During my elementary school years, my friends and I used to stay in the library to read story books with wonderful illustrations. I remember that feeling when we would all say “Wow!” in amazement for reading and looking at picture books, and we would dream that we were in the books’ world. Now that I’m older, it is still a delight to read children’s books. That’s why it was a pleasure for me to have attended the Children’s Book Fair and Literature Talks last July 23 at Xavier School in San Juan. 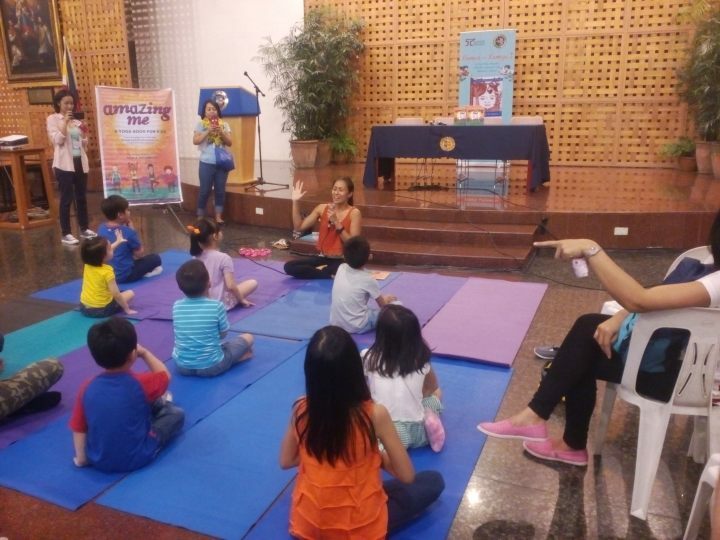 Organized by the Philippine Board on Books for Young People (PBBY), with the National Book Development Board (NBDB), the event was in celebration of National Children’s Book Day. Teachers, librarians, storytellers, illustrators, publishers, students, parents and kids, and book lovers all participated in the event. It was heaven for children’s literature lovers. Among the exhibitors include Adarna House, Lampara Books, Tahanan Books, Anvil Publishing, Hiyas Publishing, Vibal Publishing and Ang Ilustrador ng Kabataan (Ang INK), among many others. A lot of books piqued my interest. These include the very educational Ang Batang Historyador book series by Augie Rivera, the haunting Doll Eyes by Eline Santos, the touching Tall Story by Candy Gourlay, the fascinating Ang Nag-iisa at Natatanging si Onyok by Eugene Evasco and the epic Janus Silang books by Edgar Samar. 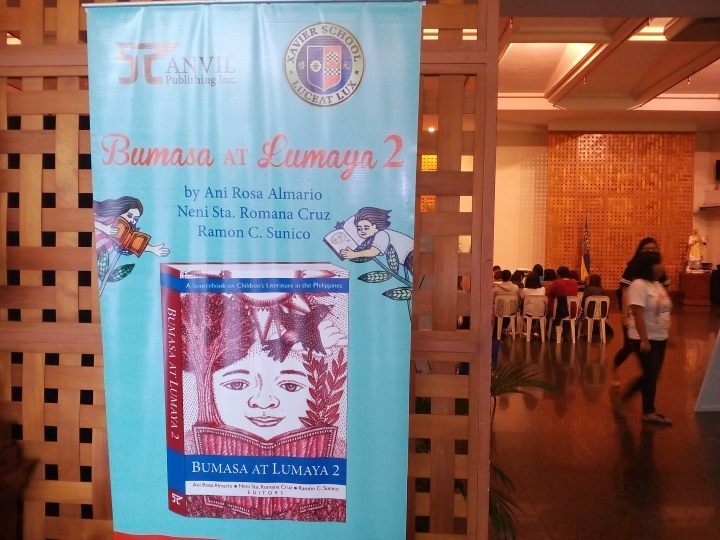 The event commenced with the launch of the book Bumasa at Lumaya 2: A Sourcebook on Children’s Literature in the Philippines edited by Ani Rosa Almario, Neni Sta. Romana Cruz and Ramon Sunico. The editors underscored the pertinent role of quality children’s literature in publishing. Cruz highlighted that it is not the sheer number of children’s titles published each year that needs to be reckoned; it is the quality of these books that should make for a remarkable achievement. 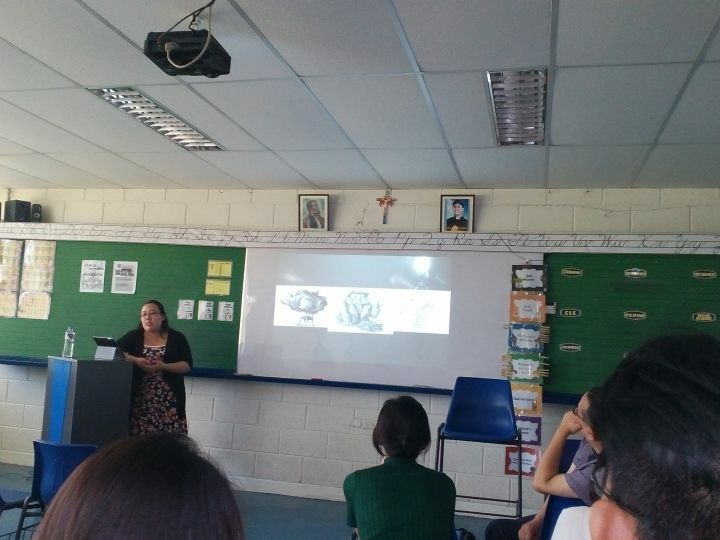 During Almario’s presentation on “Why bother about children’s books?” I realized books have unique and integral role in developing a child’s intelligence, emotions and imagination, all of which lead to understanding. I also noted that books are the seabed for content for children. Because books are the kids’ first encounter to the printed form, it provides them with motivation, relevance, identity and autonomy, and social literacy. Award-winning author Augie Rivera talked about the importance on making quality, relevant and accurate books that touch on sensitive topics, like history and social issues. The topic was very timely since there are some recent concerns raised by advocates on how the Martial Law period is being taught at schools. Reading advocate and educator Victor Villanueva emphasized that authors and publishers have a huge responsibility to develop understanding among children, and to forward the right agenda to readers. I shared the sentiment that parents and teachers have an important role on picking the right books for children and comparing materials that are suitable for them. It was a realization for me that most YA books, in general, have incorporated a stereotypical body image or characters into the narrative. For example, a thin good-looking character is always projected as a good person, while a fat and ugly one is always associated with evilness. I agree with her thoughts that Philippine YA literature is lacking in diversity of characters when it comes to body image and its relationship to its narrative, hence, it was encouraged that writers and readers should have a mindset that is not limited to cultural convention. In this age of internet and social media, I learned that libraries should blend what we deem is traditional and contemporary. It was the first time I encountered the terms “Digital Natives,” or those born during the age of digital technology, and “Digital Immigrants,” or those born before the widespread use of digital technology. Further, Digital Natives and Digital Immigrants should assimilate and collaborate to enhance libraries in this digital age, since the technology has advantages, and some drawbacks as well, which affect a child’s development. For instance, it can be noted that more people are dependent on Wikipedia as a reference than on established information databases (guilty on this, hehe!). Libraries must enhance its presence through various ways, like creating podcasts stations, utilizing hashtags (which serve as an index) in their social media sites, or develop more infographics than using purely textual descriptions. But even if we have become internet-dependent for information, I still love to go to libraries, simply because I love books in printed form. Old books have this distinct aroma that captivate me when pages are flipped. Libraries also provide me with a deeper sense of focus to process texts in its tangible form. Also, it has been my place of solace for reflection and imagination. Aside from the literature sessions and book exhibitions, the participants, especially the kids, were treated to simultaneous storytelling sessions hosted by publishers. Free books were also given away. There were paper-cutting booth, roulettes and other games for kids. I particularly adored watching kids doing yoga and poetry as facilitated by Nica A. Hechanova, author of Amazing Me: A Yoga Book for Kids. Going to events like this made me sometimes wish I could just be a little kid again. With all the fun and pleasure of discovering new things and emotions through books, it made me want to contribute to and promote the development and proliferation of children’s literature in our society.